DAILY PHOTO: How’d You Like to be a Crocodile Dentist? 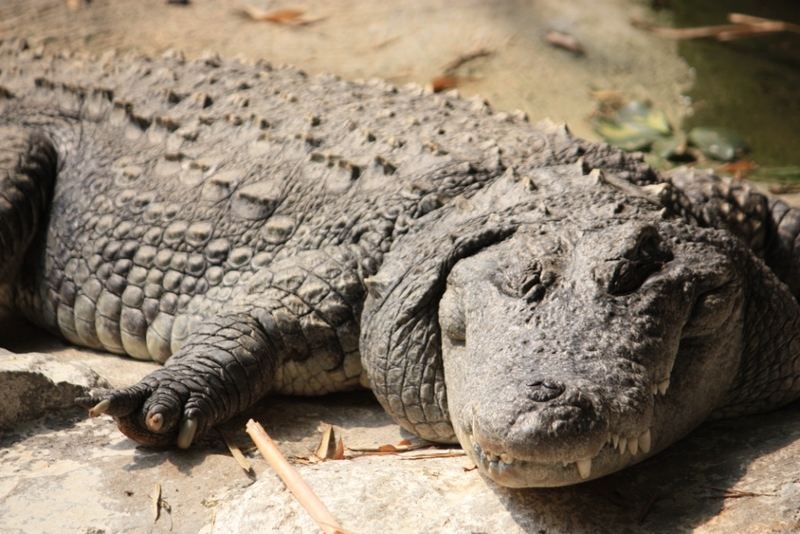 Being able to see the color of a crocodile’s tongue, but not the color of its eyes, isn’t comforting. But could someone get in there and floss the green gunk out of this fella’s teeth.